Wear Abouts: $50 Amy Waltz Giveaway! Today you guys have the chance to win a $50 Amy Waltz store credit! There is loads of awesome jewelry you'd be able to get for that! I love my two necklaces and have been wearing them both separately and together all week long. Which is your favorite? 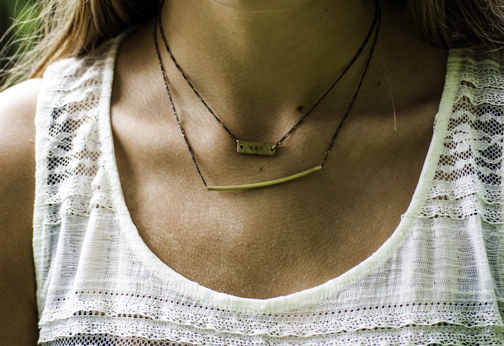 I think mine is the initial necklace, but I love them both. And you could get your own! Just enter below (sorry if the widget takes a second to load). Enjoy! very nice look! love your shirt!